I have been so busy creating lately that blogging has been put on a back burner, so I thought it was about time I showed you what exactly I have been making! 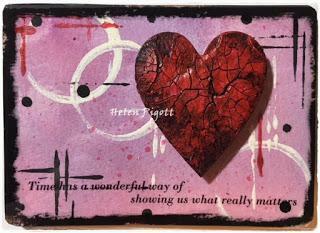 I thought I would start with sharing some love, so below is a 6" x 6" mixed media canvas. 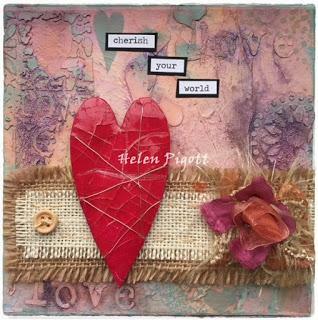 My next make is a mixed media tag. 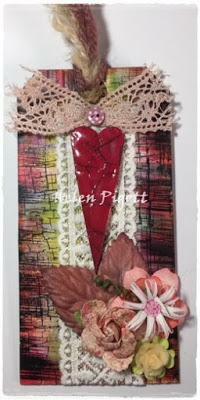 Finally I have a mixed media ATC. As you can see I have used lots of paint, crackle paste and lace. I hope there is something to inspire you in your next make. Through the Keyhole, Who Lives in a House Like This?